Check out the flat cap throw-back on the Magnitude design! 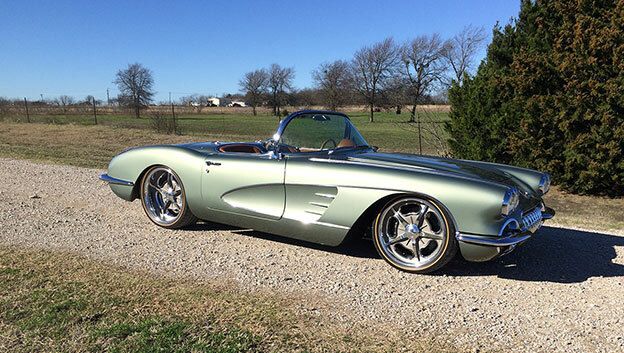 '59 Corvette with big wheels! Refined and elegant... Paul Wolf's '59 Corvette is made of all the right stuff, and classic example of the sum being greater than it's parts. Rolling on 19x8 & 20x10 Accelerator wheels with 3-bar knock-0ffs. 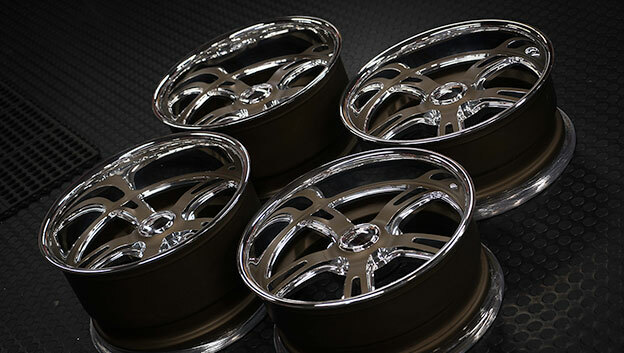 Custom rims, or custom wheels for your Hot Rod? 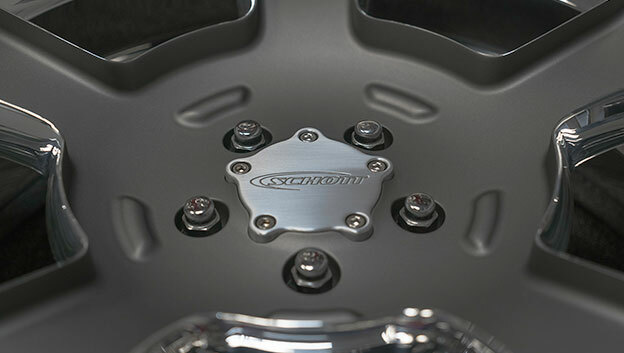 Check out the Mod 5 Cover-Loc wheels rolling out! Custom finished with bronze ceramic coating, and polish contrast finish! These pieces of jewelry on going on a '71 Camaro.